Invoice history based on 47 reviews. Your Home Construction is a locally run building firm which prides itself on customer satisfaction and a high standard of workmanship. We cover all aspects of general building work from extensions and loft conversions to kitchens and alterations. 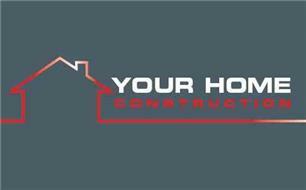 We are fully qualified and insured and offer a 2 year guarantee with all our work.